Trim all your projects from decorating your own dreidel, making your own yad to scrapbooking and so much more with peel and stick crystals. 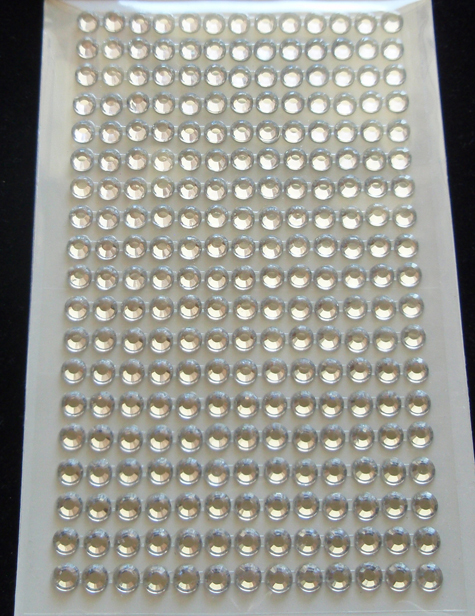 This sheet of silver crystals has 19 rows of 13 crystals each. Total 247 crystals per sheet. Each crystal has 3/16" diameter or 6 mm. Price $1.50 per sheet.